Will Massachusetts’ Net Metering Caps Spoil the Community Solar Party? 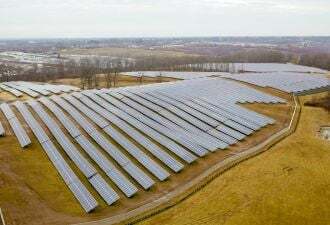 The state’s community solar market may stall before it really gets started. 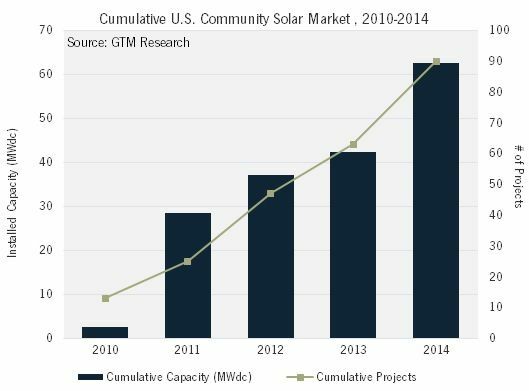 Solar's hottest new focus is community solar. With net-metering offsets and easier applicability to low-income households and renters, community solar can access a new potential solar consumer base. On paper, the value proposition is strong -- build solar at ground-mount prices and credit subscribers at slightly less than residential and commercial retail electricity rates. It's no wonder that major solar companies are heavily investigating and investing in community solar opportunities. The prospectors have come from all segments, with pure-plays like Clean Energy Collective and SunShare landing funding from solar A-listers like First Solar, NRG and Morgan Stanley, in addition to a host of competitors in SunEdison, Geronimo Energy, Nexamp and Next Step Living. Community solar has so far been limited to just a handful of capped state or utility opportunities. According to our analysis, 63 megawatts of cumulative installed capacity, including a 20-megawatt "green tariff" project built by SunPower in SRP territory. The surge of broader consumer interest in solar, coupled with policy tweaks in states like Minnesota and Massachusetts, mean the future for community solar could be huge. For example, under the latest incarnation of Massachusetts' SREC program (the creatively titled "SREC-II"), not only do community shared solar programs receive the full SREC credit, but they also don't risk being relegated to the state-curated "managed growth" sector, where they might be subjected to a long approval waiting period. While Massachusetts had just 6 megawatts of community solar projects as of the end of 2014 -- including two truly community-driven projects in Harvard and Brewster -- interest has been remarkable. Clean Energy Collective recently announced a 50-megawatt pipeline in the state to be built over the next 18 months. Other Massachusetts-based companies Nexamp and Next Step Living have also introduced new community solar offerings. The keystone to Massachusetts' potential community solar success is its virtual net energy metering (NEM) program, in place since the Green Communities Act of 2008. While the foundations of virtual NEM are intact for now, facilities installed with virtual NEM in mind are still subject to the commonwealth's limits. Whereas on-site residential systems (<10 kilowatts single-phase) don't count toward NEM caps, community solar facilities of meaningful scale would. And unfortunately, the NEM cap picture doesn't look pretty. Over two-thirds of the state's NEM limit for private offtakers is already interconnected, reserved or pending allocation. 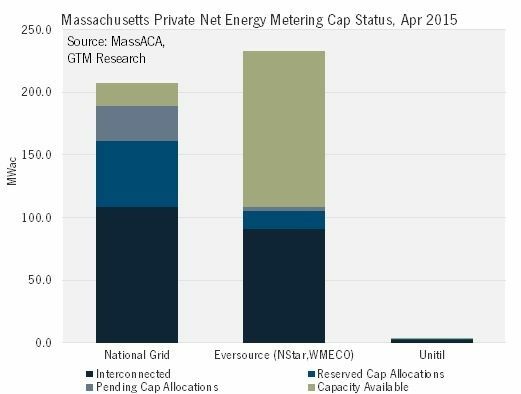 In fact, the NEM cap for National Grid, which serves much of the state outside of the greater Boston area, has already been hit with 16 megawatts of capacity sitting on the waiting list. Furthermore, because of virtual NEM eligibility rules, that big chunk of available capacity in Eversource territory (surrounding Boston, the Cape and parts of western Massachusetts) is actually further split according to ISO New England's Load Zones. In other words, developers can't build solar plants on more available and cheaper land in western Massachusetts and wheel the net metering credits to renters in Boston. Although some solar advocates attempted to eliminate the NEM cap altogether, last year's late legislative fix resulted only in an incremental increase in the public and private NEM caps. 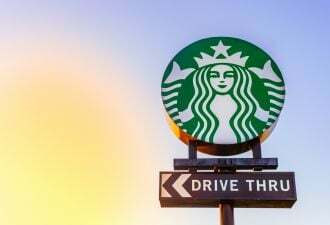 A task force set up by the legislation promises to deliver a report at the end of April, with several bills introduced to raise or eliminate the NEM cap, though nothing has been passed. What's clear is that without any NEM cap relief, community solar could be severely limited in Massachusetts. 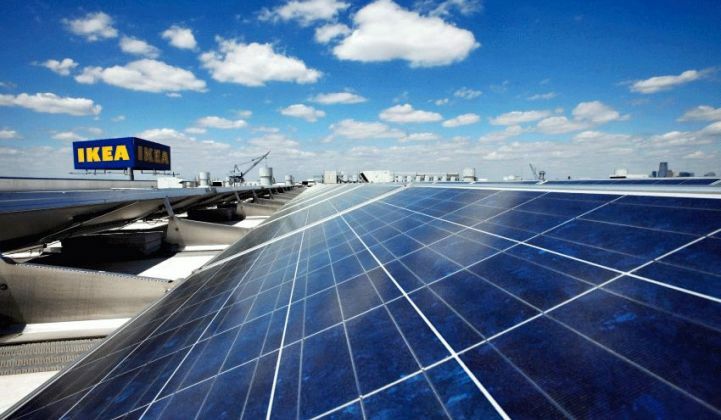 Projects in development could be left stranded and unfeasible without a NEM mechanism -- and many consumers could be left without a viable community solar option.